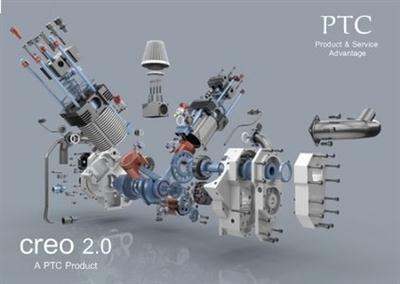 PTC Inc., company specializing in 2D & 3D design software, product lifecycle management (PLM) and service management solutions, has released an new build Creo 2.0 M100 software, the latest release of its revolutionary new generation of product design software. PTC made a huge noise about the launch of Creo, how it was promising a revolution in 3D modelling tools for design and engineering. The reality is that Creo is more an evolution of the existing Pro/E, CoCreate and ProductView products. Both are merging into a new set of tools that are based on the power of capability of Pro/E, but with some of the advantages of direct modelling from the CoCreate product set.